Live.me is one of the most notable players in the burgeoning industry of mobile live streaming platforms, and it will now greatly expand its war chest. Cheetah Mobile, which owns a controlling stake in Live.me, has announced a $60 million funding round for the app. The groups participating in the investment include Matrix Partners China, Evolution Media China, Gobi Partners, IDG Capital, and Welight Capital, as well as Cheetah Mobile itself. With the fresh capital, Cheetah hopes to galvanize the growth of Live.me, particularly abroad. It is also spinning the app off into its own company, though it will maintain its controlling stake. 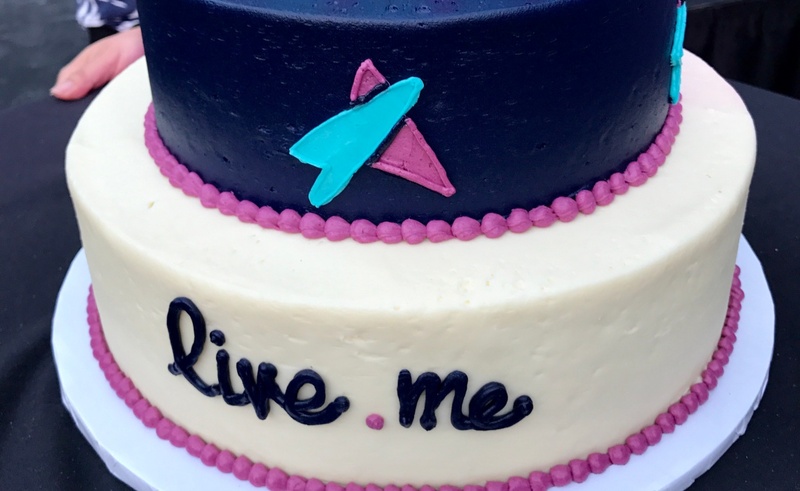 The news of the funding round comes just after Live.me passed its first birthday, which it celebrated with an event that featured awards, performances, and the cake pictured above. The platform also called out its milestone with a video that summarized a few of the creative highlights it has hosted over the past year. According to that montage, Live.me now has more than 20 million users, who produce 200,000 hours of daily content. Thanks to the new capital it has taken in, it will be able to add many more memorable moments while continuing to scale up its operation. For an up-to-date ranking of who’s hot on Live.me, check out our weekly chart of the app’s top broadcasters.